BIGHORN RIVER HOME that has everything. Located one hour from the largest airport and city in Montana and 20 minutes from the Big Horn Canyon National Recreation Area, this property has tranquility, seclusion, organization, and convenience. Lets not forget the best trout fishing in the lower 48 states, hunting, hiking, boating, and more. 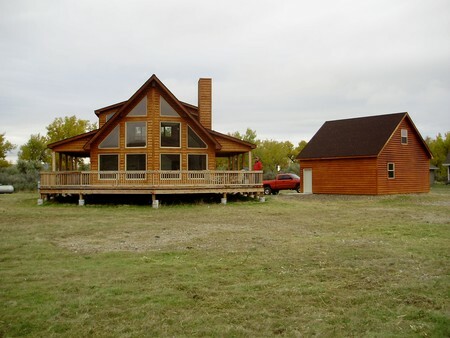 This beautiful new cabin has 1274 sq. ft. of open living space with the master suite in a loft that has a view of the Bighorn River just a stone through from the west deck.